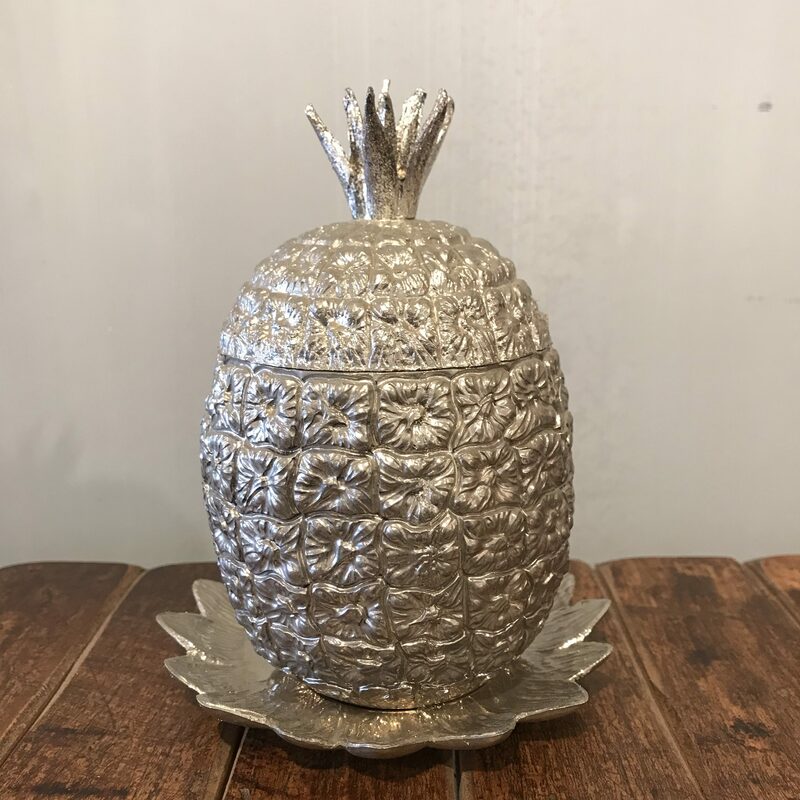 The fabulous thing about vintage accessories is that you never know quite what you’re going to find. 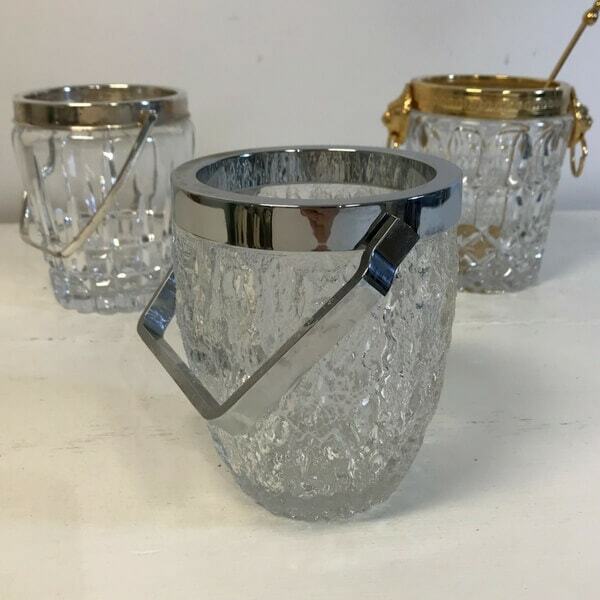 Our stock changes all the time so there’s always something new to discover. 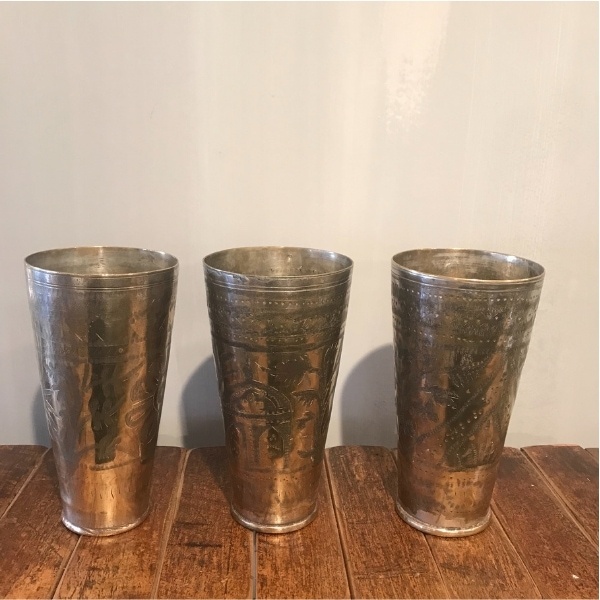 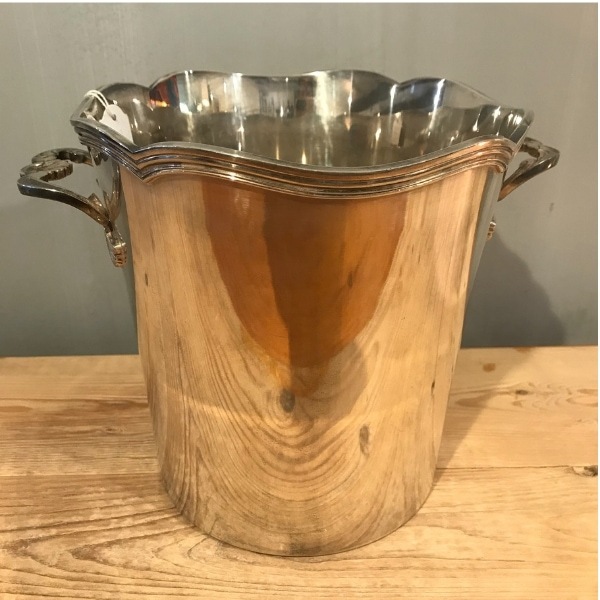 Browse below or pop into out shop and you may find silver plated champagne buckets and cocktail shakers, wonderfully crafted old candlesticks, medicine bottles, kitchenalia, wooden crates (very popular at the moment! 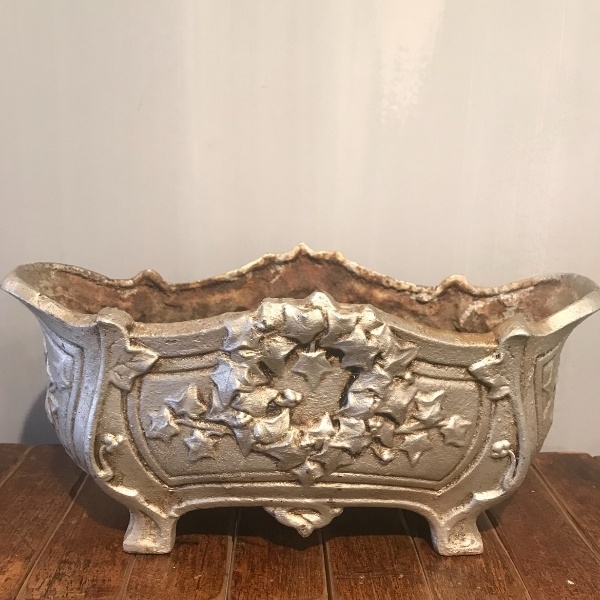 ), mirrors, vases, old leather suitcases, spice boxes, pots and bowls of all shapes and sizes, wall art, storm lanterns…and, and, and! 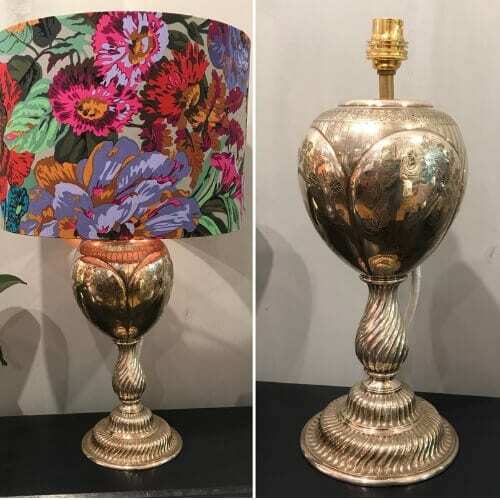 We sell our vintage accessories from our inviting shop just off Marlow High Street, but with a simple phone call you can reserve anything you see online. 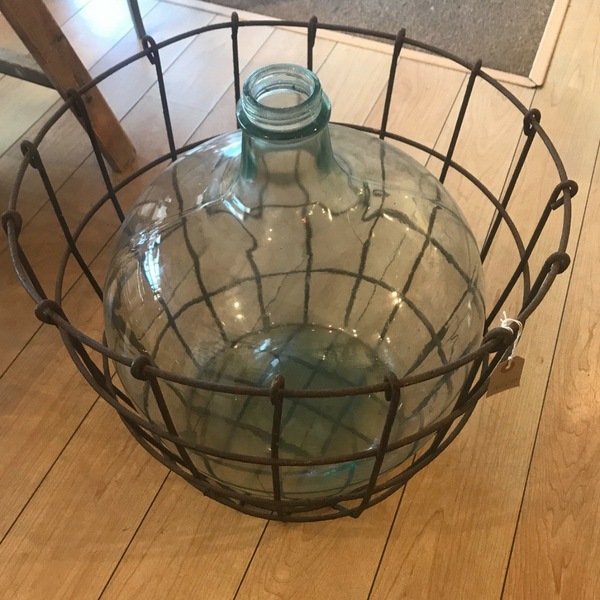 Large vintage demi john with original metal cage. 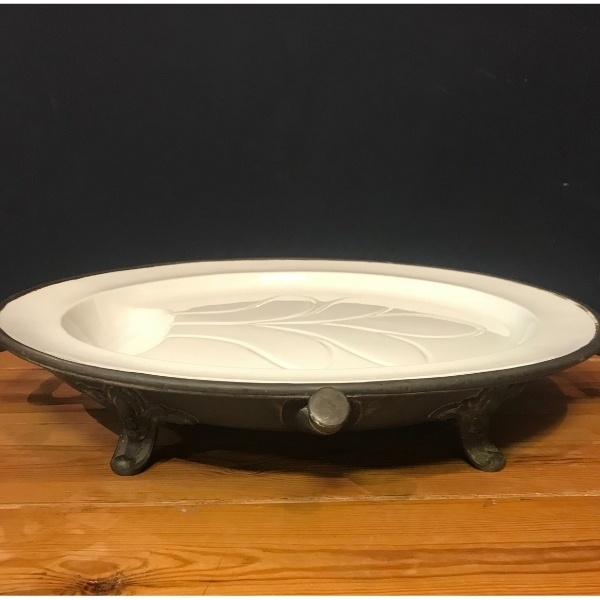 Fabulous vintage plater with hot water spout to keep your meat warm. 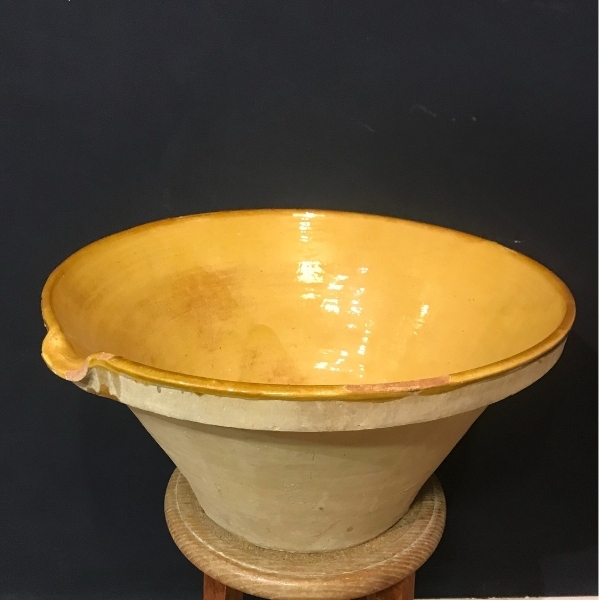 33cm wide, 15cm wide and 14cm tall.